vHack is a reconstrution of the homonym smartphone game. The objective of the game is making as many points as possible. These points are called REPs.
You can earn from 1 to 100 REPs attacking other players on the server. - SDK - A good SDK makes your trojans stronger. - Spoofing - A spoofing makes you anonymous to the hacker. Things like name, money, success rate and upgrades are hidden. You need money to upgrade your system. Attacking an enemy (and winning) you will earn the 8.5% (customizable) of target's money. You have a probability of 5% (customizable) of finding a package after a win. It can contain upgrades, money or other packages. You can also buy a package for 15000$ (customizable). 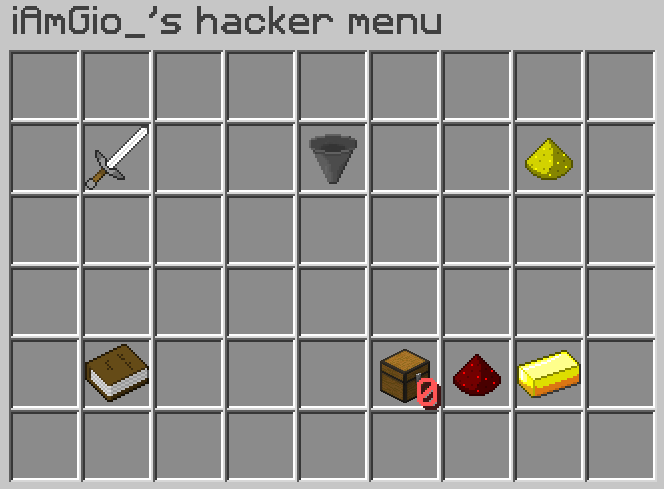 vhack.admin.update - Receive a message on join if an update is avaible. Graphical User Interface. 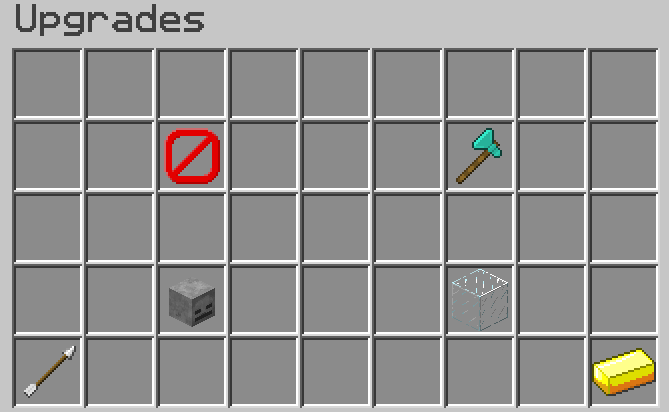 In Minecraft, it's a menu. No, it's only a simulator. How can I attack players? 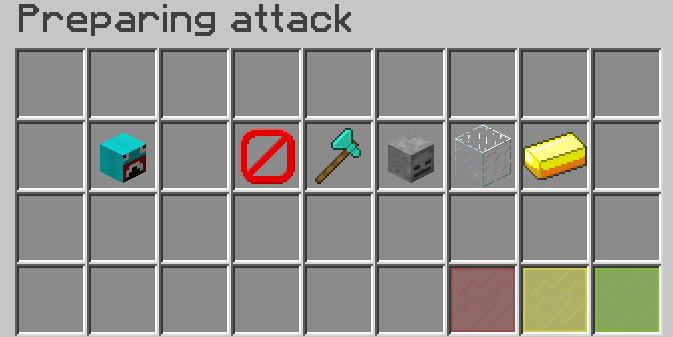 Clicking the sword item or using /vhack attack. It's like a 'chest opening'. Can targets view my attack? They can read your name in the message after an attack. I want to be anonymous! This plugin is under MIT license. 1.8 is no longer ufficially supported, but you can test it. UnlimitedPlaying, Spidev, WaxtzCraft and 1 other person like this. Awesome, really fun. It adds a new aspect to the game and honestly, there needs to be a server with 20+ players with this on..
looking forward to the SQL support. I'd suggest making a tutorial or something for when players open the GUI for the first time or something.